Kant's 'practical philosophy' comprehends a diverse group of his writings on ethics, politics, law, religion, and the philosophy of history and culture. Kristi E. Sweet demonstrates the unity and interdependence of these writings by showing how they take as their animating principle the human desire for what Kant calls the unconditioned - understood in the context of his practical thought as human freedom. She traces the relationship between this desire for freedom and the multiple forms of finitude that confront human beings in different aspects of practical life, and stresses the interdependence of the pursuit of individual moral goodness and the formation of community through the state, religion, culture and history. 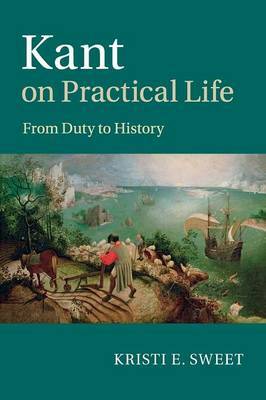 This study of Kant's approach to practical life discovers that doing our duty, itself the realization of our individual freedom, requires that we set for ourselves and pursue a whole constellation of social, political and other communal ends.